With huge amounts of uncertainty still shrouding the Brexit negotiations, many VCSE organisations are struggling to plan for the future. Despite much speculation about the potential effects on the sector, the impact of Brexit for a multi-million pound, national charity is likely to be vastly different than that for a small charity or social enterprise operating on a local scale. For the VCSE organisations with whom we at 3SC most frequently work – smaller organisations that tender for (or have the potential to tender for) government contracts – the most pressing Brexit-related issues can be grouped into four categories: funding; procurement processes; workforce capacity; and legislation and policy. The squeeze on funding that we have seen since 2010 as a result of austerity has been hard enough for most VCSE organisations to manage, so the prospect of further cuts as a result of Brexit is a bleak one. Many organisations in our sector rely heavily on money from the European Social Fund (ESF), one of the European Structural and Investment Funds (ESIF) dedicated to improving social cohesion and economic well-being across the regions of the EU. The total figure provided by the fund to UK charities each year is estimated to be nearly £260m. We have already seen significant changes to ESF funding processes in the period since the Brexit referendum, not least of which are delays in the commissioning of ESF-funded services by public bodies across the UK. Before Brexit, the vast majority of ESF funding was provided under a co-financing model, intended to cover the complete costs of delivering a service. However, since 2016, more and more ESF money has been awarded only to organisations that are able to provide ‘clean’ match funding – additional funds from a non-EU source. This has resulted in many smaller organisations being pushed out of the commissioning market, as only the largest providers have the necessary unrestricted funds available to commit. As well as these existing effects, Brexit has of course also raised a big question in terms of the future of ESF funding in the UK. While the government has confirmed that current service providers will have their ESF funding protected until 2020, there is yet to be a guarantee beyond this point. Sector bodies, including NCVO, ACEVO and ACF, have urged the government to ensure that ESF funds are replaced as a matter of urgency. The government has responded to concerns by announcing plans for a ‘Shared Prosperity Fund’, as outlined in the 2017 Conservative Manifesto, which it claims will continue to support ESF-funded projects with a view to “reduc[ing] inequalities between communities” and “help[ing] deliver sustainable, inclusive growth”. However, details of the fund remain unclear, with a full consultation, previously due to be published by the end of 2018, yet to appear. With all existing ESF support due to end in 2023, any commissioning of replacement services needs to be undertaken by 2022 at the latest. Commissioners are unable to plan for this as there is no clarity on how much money will be available, how it will be administered and exactly what it will be for. In theory, Brexit could provide a valuable opportunity to develop a replacement for ESF, which could retain the best features of the EU funding model while reducing bureaucracy and bringing much-needed efficiency to the funding process. However, time is running out to get such a scheme in place before the March 2019 deadline. Above certain financial thresholds, EU procurement legislation is at the centre of local and central government public sector contracts. As such, there is an opportunity post-Brexit to reshape procurement in a way that has never been possible before. Indeed, the Local Government Association (LGA) has also called for simpler procurement rules after Brexit, suggesting that a more efficient system of public procurement “could include giving councils greater ability to use local suppliers, specify a minimum local living wage for their suppliers’ employees, or specify additional social value so that companies awarded contracts can be asked to employ or train a number of local people”. As outlined in our 2018 position paper The Crisis in Public Sector Contracting and How to Cure it, we believe that Brexit offers a unique opportunity to break away from the bureaucracy and restrictions of current procurement models. In short, a radical overhaul of the way we procure public services. By working together with its counterparts in the devolved nations, central government – in particular BEIS, Department for International Trade and Department for Exiting the European Union – could create a world-class approach to procurement that offers more flexibility, speedier processes and a clearer commitment to social value. Questions about the continued rights of EU nationals to live and work in the UK post-Brexit are of significant importance to many VCSE organisations. The number of EU workers in the UK charity sector is estimated to be 31,000, or roughly 3.8% of the total, with around 15,000 of those working in social care. 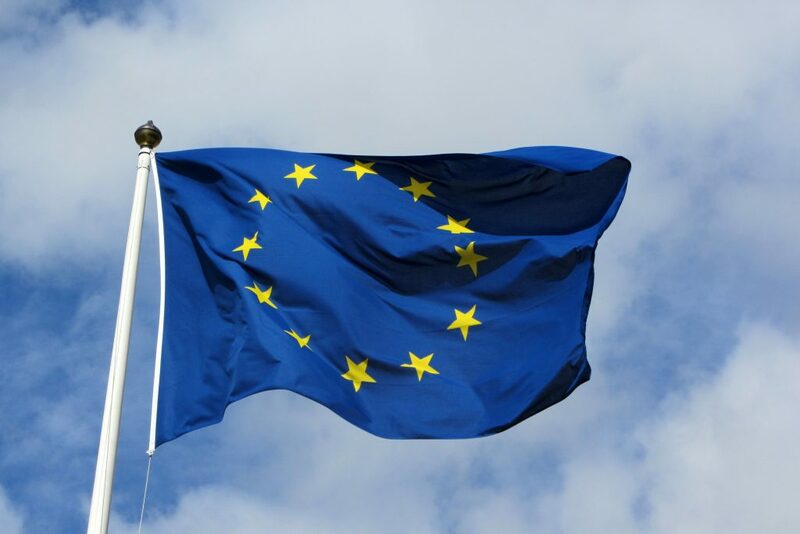 Research by the Institute for Public Policy Research (IPPR) suggests that any rule changes are likely to mean that significant numbers of EU employees currently working in the sector will be ineligible to work in the UK after 2019. The UK and EU have negotiated a transition period whereby free movement will continue to December 2020, and the UK government has confirmed that under its new ‘settled status’ scheme, EU citizens will be entitled to live in the UK after Brexit on the condition that they are residents by 29 March 2019. However, even with this scheme in place, given the high proportion of EU nationals working in social care – a sector set to undergo significant expansion as a result of Britain’s ageing population – we could well see a major care staff shortage in future. Without free movement within the EU, the government will need to plan for another way to fill the estimated 500,000 jobs due to exist by 2030 in the adult social care sector. Development of policy affecting third sector organisations has already taken a hit since the Brexit negotiations began, with the terms of the UK’s withdrawal from the EU taking up a significant proportion of parliamentary time over recent months, resulting in significant delays to the progression of plans for other initiatives. But despite these delays being unlikely to end when the UK leaves the EU in March 2019 and Parliament faces a host of new challenges, the increased autonomy of the government in setting its own policy and legislation could be good news. Post-Brexit, many EU rules will be transposed into domestic law in accordance with the EU (Withdrawal) Act 2018, potentially providing an opportunity for legislative and policy changes that would benefit the VCSE sector. One example of this is VAT, the threshold for which is currently set largely by the EU (although the UK has been allowed to freeze its VAT threshold at a higher rate than most EU countries for some time). According to the Charity Tax Group, charities lose £1.5bn each year through VAT on services purchased. Bringing VAT rules under domestic control (which would happen under a no-deal scenario) would mean that charities could be given the same VAT status as public sector and government bodies, allowing them to recover the VAT they incur. However, at the time of writing, the current proposed Brexit deal under consideration by the government includes an agreement to conform to EU standards for VAT, without the power to veto changes. Far from allowing the UK to rewrite VAT rules to benefit charities, this would have the opposite effect of forcing the government to lower the threshold in line with the rest of Europe, meaning that thousands of currently VAT-exempt small businesses – including small charities – could become liable for VAT. Brexit also provides an opportunity for the government to reform the rules on state aid for charities. In its September 2018 report on the impact of Brexit on charities, Charity Finance Group (CFG) highlighted reformation of state aid rules as one of the priorities in its six-point plan to ensure a fair outcome for the third sector. However, as with any government policy changes, for the views of VCSE organisations to be taken into account, meaningful consultation is required. From the beginning, the third sector has been largely ignored in the Brexit negotiation process, with charities not among the 58 sectors initially consulted on its potential ramifications. This concern is most pressing for small charities, who often lack the resources and political clout enjoyed by larger VCSE organisations. Research by the Foundation for Social Improvement (FSI) suggested that over a third of small charity leaders are not at all confident about their future following the Brexit vote. According to the FSI, small charities are worried that their voices are going to be ignored in the legislation process during the Brexit negotiations, with a staggering 91% of respondents unconfident that their views will be represented by the government. Many social enterprises are also concerned about the future. While the Department for Business, Energy & Industrial Strategy has made assurances to businesses that their interests will be protected post-Brexit, it does not mention social enterprises – which fall under the remit of the Department for Digital, Culture, Media & Sport – despite the estimated £60 billion annual contribution by social enterprises to the UK economy. There is much to be uncertain about after Brexit. However, to make sure that we get the best possible outcome for the future, as a sector we need to ensure that our voices are heard by the government. And for that to happen, we need to speak up.